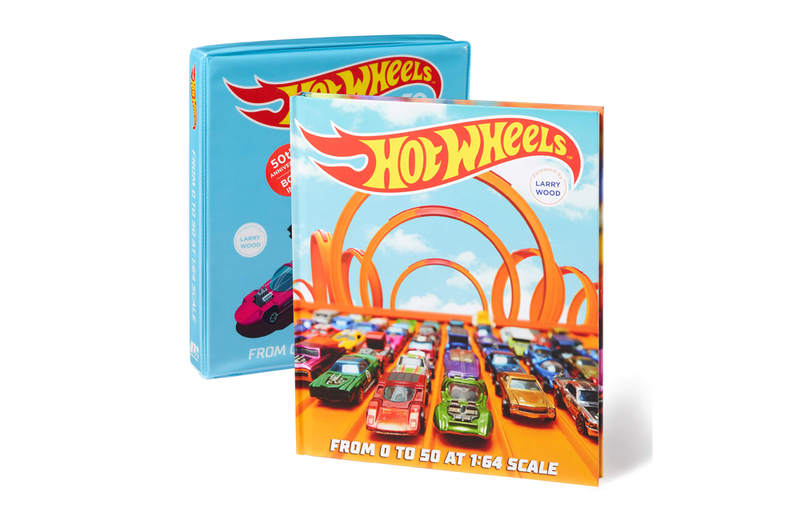 As part of Hot Wheels’ 50th anniversary celebration in 2018, author Kris Palmer released Hot Wheels from 0 to 50 at 1:64 Scale. The officially licensed, 160-page book is chock full of full-colour photos, illustrations, design drawings, and advertisements that chronicle the Hot Wheels story over the past 5 decades. Larry Wood, one of the most influential Hot Wheels designers of all time, penned the Foreword. What follows is an in-depth retrospective broken down into 5 chapters. “Rising to the Challenge” focuses on Mattel’s launch of the toys in 1968. “Speed by Design” delves into the design process used to produce the 1:64 scale models. “Production Goes Global” details how the Hot Wheels brand was cross-licensed and entered various promotional partnerships to become a worldwide phenomenon. “Beyond Cars” shines a light on the nifty track-sets that Mattel has produced to enhance playability. “Fans for Life” pays homage to the toy line’s fervent fan base, including notable collector, Bruce Pascal. The book is encased in an old-fashioned, vinyl-sided, snap-closure case that harkens back to the Hot Wheels carrying cases kids used to store their cars in the 1970s and 1980s. Since 1949, LEGO has become one of the world's most influential brands, so it's no surprise that the marketplace packed with resources for LEGO fans. Blocks magazine is among the best.